A lot of attention has been placed on where Amazon's new facility will be. Much of that has to do with how that comany went about searching for a location. 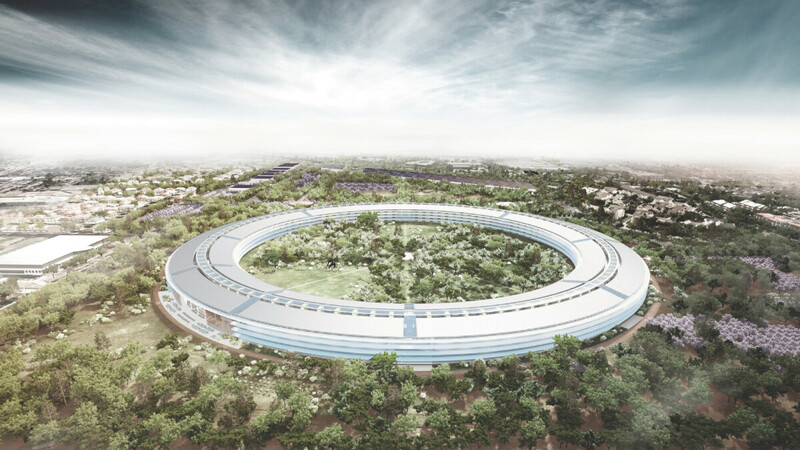 However, it seems Apple is also seeking to build a new campus, albeit much more quietly than Amazon. It is no secret that Apple is a California company, that is where it was founded and where its brand new space station campus is. Apple also has space in Texas as well. Now the company is looking to expand to the East Coast, though it is said that this new location will focus of custoemr service and technical support. The lcoation has not been decided yet, but it looks like it will be located either in Northern Virginia or North Carolina. Although Apple has started narrowing the list, there are still numerous locations to choose from and it is all speculation at this point. What is known is that it will be around 4 million square feet. Much of this appears to be office space, which makes sense when it will focus on customer service and tech support. The tech giant exepcts the site the house around 20,000 employees, which goes a long way towards fulfilling Apple's promise to invest in America and create tons of new jobs over the next five years. There has been a lot of speculation surrounding not just Apple's desire to move to the East Coast, but Amazon and other tech companies as well. The locations chosen are not up in Maine or in Florida, but they are all near D.C. Tech companies have spent a lot of time and treasure over the years lobbying those in power. More recently, they have spent a lot of time sitting in front of Congress, trying to explain themselves or reassuring the public that the techonogy they are developing will not destroy the world as we know it. Thererfore, it make sense why even the obviously West Coast companies want to have closer ties to the region. Of course there are other likely reasons as well. The area is home to some really good schools from which the companies will have their pick of the next up and coming tech geniuses. It is also an area that is improving economically but still has a lot of people eager to work. Time will tell how the shift closer to the Nation's capital fits into future plans for all of these companies. Apples most recent campus is an engineering marvel. What an amazing company. Your teeth and lips must be brown all the time, especially the amount of kissing up you do. How dare a man praise a company that he likes!? I love Apple :D !! What an outstanding building. Definitely a hallmark in design. *custoemr service* *The lcoation* *giant exepcts* Someone needs to seriously use their spell-checker. I was about to advocate for NYC, but then I remember the prices for housing. Apple is doing good things for the economy, with these campuses. Jobs jobs and more jobs.